A big Thank You to everyone who went to the 2016 LA County Science and Engineering Fair! 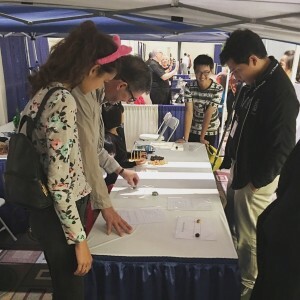 Areteem Institute, together with other notable organizations like SpaceX, continue to support the young scientists of the LA County Science and Engineering Fair, held at the Pasadena Convention Center. 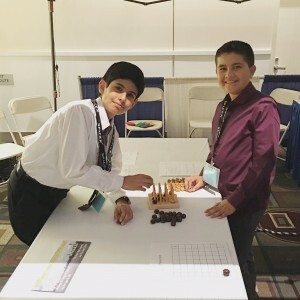 We enjoyed having you at our booth and taking part in our hands on activities and stimulating mind games! Getting to know the talented student participants has been the highlight of our weekend. The investigative skills, creativity and enthusiasm of these future innovators are the attributes that we develop in our summer camps. 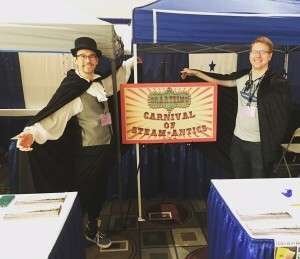 Areteem Institute continues to cultivate student interest and talents in project-oriented research, STEM careers and profound discussions about science fiction. We are looking forward to seeing you all this summer in one of our 4 locations: UCLA, Georgetown University, Bentley University and San Diego!